Linger was a month-long series of performances: On the grounds of the NY Botanical Gardens, NestBuild: an 10 hour performance where the public was invited to watch but not participate, and a final, 5-hour performance for the opening reception; which is considered the actual “closing” performance. “Linger” turns a reflexive lens on obsession and the blurred lines between maternal longing and art making. The objects themselves are the physical remains of both art conceptual and literal biological gestation. 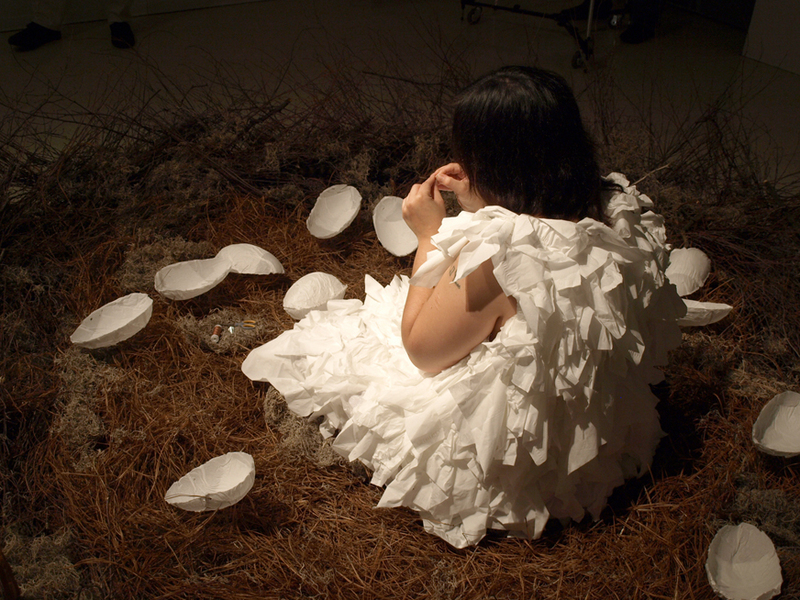 Further charged with the presence of activating the piece by making my tear stained tissue “eggs” in a physical “nest” the audience is asked to bear witness to my “labor”.